After Losing Control, what next? Earlier this week I was in Birmingham attending a fantastic event called Losing Control which was organised by The Social Change Agency and Practical Governance. For those not at the event, Losing Control is about challenging the traditional, hierarchical approaches for achieving social change. 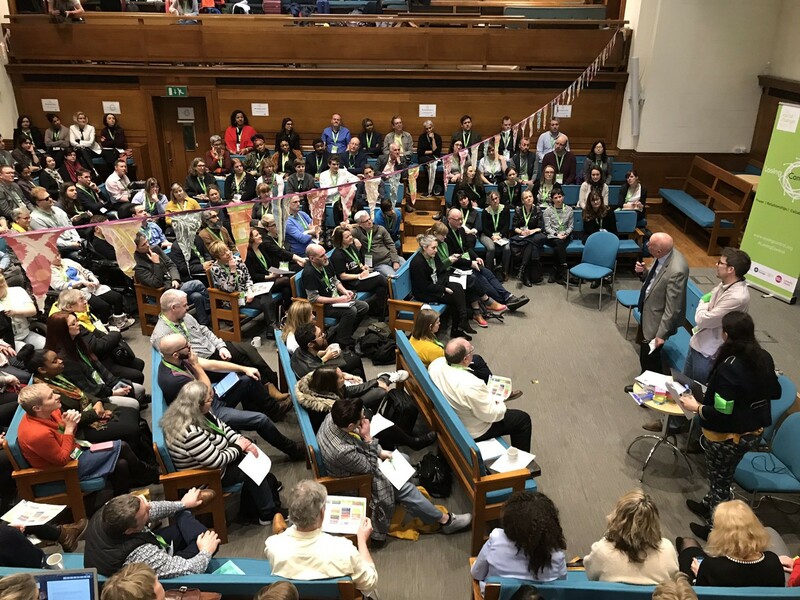 It brought together a diverse range of individuals, groups and organisations all with a passion for exploring how power and control can be more widely distributed in society with the belief that this is likely to lead to better outcomes for everyone. As the meeting concluded my mind was buzzing with all the new ideas I’d heard and inspirational people I’d met. The closing plenary summed up the mood of many I’d spoken to with two over-riding emotions. Firstly, hope that the ideas discussed had a good chance of coalescing into a powerful movement for change. Secondly, a desire to know what happens next. How can the positivity and enthusiasm be channelled into something more sustainable? In the spirit of open problem-solving here are three suggestions for the path forward. 1. We need a manifesto. There are currently a lot of overlapping words and concepts that are often loosely defined and mean different things to different people. As well as causing confusion we are at risk rehearsing the same arguments again and again. At heart, I do believe that the main themes of Losing Control form a very coherent set that could be summarised into a simple statement of the change we want to see in the world. This would be similar to the way the Sustainable Development Goals provided clarity and alignment within the international development community. We already have some great starting points such as the output from the excellent Civil Society Futures inquiry or the work my colleagues are doing at the Centre for Public Impact on enablement. We don’t need any more reports, but we do need to integrate what we already have into something everyone can rally around. 2. We must be the change we want to see. Anyone waiting for the people at the top of the hierarchies to suddenly “get it” and start radically redistributing power is set to be disappointed. To pick one example, Whitehall has been talking about devolving budgets and joining up silos for decades and nothing much has happened. I don’t blame the people at the top for this. It is extraordinarily difficult to drive change at the best of times, and if that change goes against the immediate interests of those involved it is harder still. We can continue to lobby for sensible top-down changes to structures, processes and incentives (a manifesto would help with this) but these will inevitably take time and be broad-brush. More immediate, tangible change must come from within. This means experimenting, pushing the boundaries and (even) bending the rules to better understand what works and act as a source of inspiration to others. What opportunities do you have to try something new, however small that might be? 3. We should work in the open and be honest about the challenges. Perhaps the greatest value of Losing Control was the opportunity to hear the many inspirational examples of those already successfully adopting more collaborative, devolved and open approaches. However, for me, this emphasized just how much is happening below the radar, and therefore out of sight, which is inhibiting learning for everyone. If we committed to working more in the open, sharing ideas and approaches as we go, the time to impact would be greatly reduced and a lot of wasted effort reinventing the wheel would be avoided. Sometimes this will mean being honest about what hasn’t worked. Change is tough at the best of times, and this particular type of change, challenging established power structures, is tougher than most. At Losing Control I heard a lot of success stories — that is natural — but often the best learning comes from what hasn’t worked. Let’s share (and celebrate) those stories too. These are just three ideas. You can probably think of more, and improve on what I’ve written here, but whatever happens next it is important that the momentum from Losing Control isn’t lost so let’s find a way to make that happen. This is a topic we are passionate about at the Centre for Public Impact, and we’re ready to play our part. Get in touch with if you are interested in linking up with us. The Centre for Public Impact is a not-for-profit foundation, funded by The Boston Consulting Group, dedicated to improving the positive impact of governments.